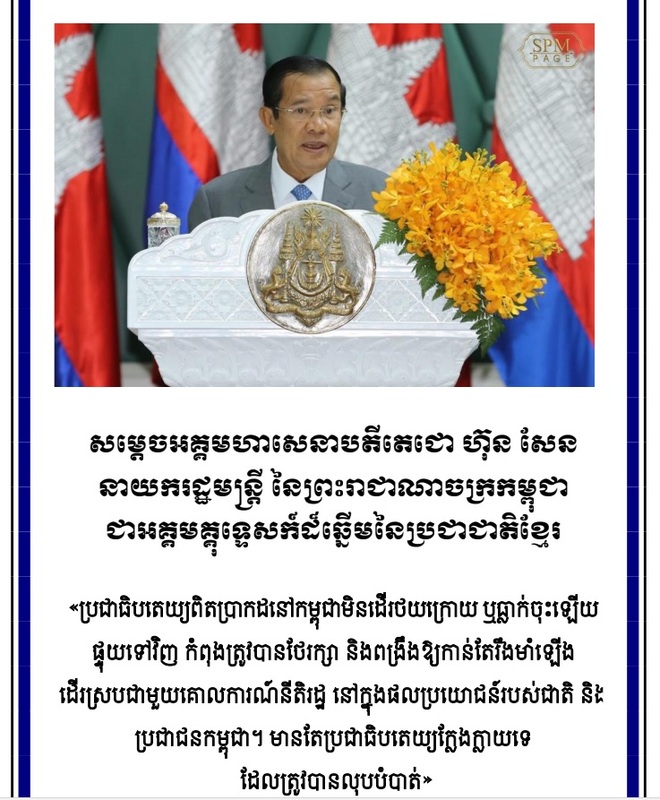 Cambodia’s ruling party will increase surveillance, shut out any opposition “force” and prevent the spread of information that “twists the truth”, according to their five-year political plan, obtained yesterday by The Post. Hun Sen is a master of manipulation in Cambodia. 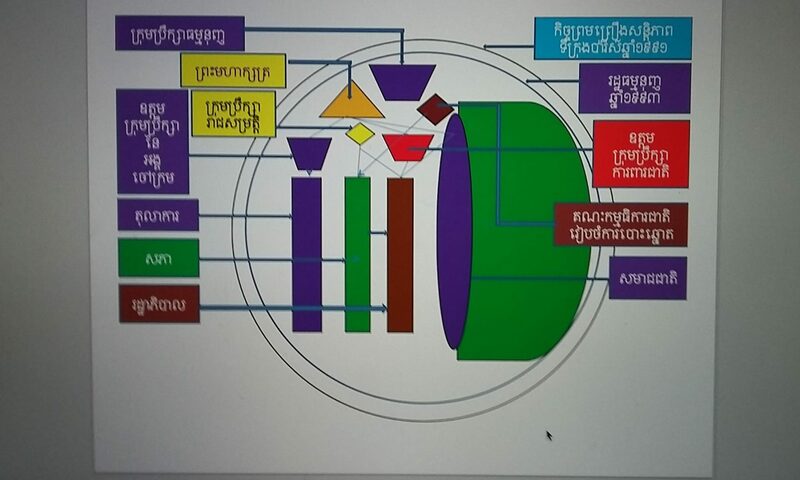 The Cambodian People’s Party (CPP) Political Programme 2018-2023, adopted at the party’s congress three weeks ago, maps out the government’s next steps in what observers describe as authoritarian – if unsurprising – rhetoric. Chief among the CPP’s diktats was “to not allow the loophole or space that is used for the creation of the opposition force or any illegal armed force to destroy the achievements and prosperity of the society and the nation”. “[We] must strengthen the capacity of our surveillance system and the controlling technology system thoroughly, and reduce the risk for society,” another read. The party’s plan comes during a widespread crackdown on dissent in the Kingdom, with politicians imprisoned, media outlets shuttered and activists seeking refuge abroad. Cambodia’s main opposition – the Cambodia National Rescue Party – was forcibly dissolved in November last year, ahead of upcoming elections. That crackdown appears set to continue, with the CPP vowing in its plan to “oppose any riot activities, subversion, [and] sabotage of all kinds”, and to “attack their black tricks” – a reference to the frequently invoked accusations of “colour revolution” and “foreign interference” that were used by the ruling party to justify the dismantling of the opposition. The party will also “prevent and eliminate the dissemination activity to distribute information . . . that is of an inciting nature, that breaks up [society], twists the truth, exaggerates the situation, causes insecurity, disorder or immorality, [or] that breaks the culture or tradition of Cambodia”. Addressing the armed forces, which are led by CPP stalwarts, the party said it would push for RCAF reforms and demanded they “show the great, absolute loyalty to the nation” and that they “have the willingness to fight absolutely in protecting . . . the legitimate government that was born from the people”. CPP spokesman Sok Eysan yesterday defended the document’s call for a tighter hold on the political sphere, saying “strengthening power is normal for the one who is in charge of the power, because power comes from the people”. “A loophole can bring a catastrophe to peace and political stability. We allow opposition, but [only] the opposition that complies with the democratic principles – not an opposition that makes anarchy,” Eysan said. “If we do not strengthen the control [on surveillance technology], it will become anarchy that impacts and influences the implementation of the democratic rule of law,” he added. Sebastian Strangio, author of Hun Sen’s Cambodia, said the CPP’s plan came as little surprise given the events of the past six months. “The plan looks like a roadmap to permanent one party rule, albeit with the cosmetic presence of small opposition parties that will do little to challenge the CPP’s control,” he said in an email. But he warned that “the CPP may find that abolishing formal opposition is much easier than abolishing public demand for change” while popular demands for political reform go unaddressed. Social analyst Meas Nee yesterday observed that the document and its aspirations for consolidating power echoed Cambodia’s situation two decades ago, when the CPP’s then-political rival, Funcinpec – which had beaten the CPP in the 1993 UN-backed elections – was ousted by troops loyal to Prime Minister Hun Sen in bloody fighting. “This is almost identical to the events happening in 1997, when Funcinpec was destroyed . . . There was the 1997 coup and the 1998 election, but after 1998, Funcinpec was not powerful. The whole of Funcinpec was paralysed,” he said. Funcinpec indeed slid into irrelevance following 1998, only returning to the political fore after it was granted the bulk of the CNRP’s redistributed National Assembly seats late last year. Funcinpec had failed to win a single seat of its own in 2013, unlike the CNRP, which took 44 percent of the vote and 55 seats. Ultimately, he added, the CPP plan’s bellicose language betrayed Hun Sen’s unwillingness to compete against an empowered opposition in fully free elections. “Politicians or political parties rarely admit their weaknesses – they like to show they are strong even though they are weak, but this [plan] reveals internal anxieties,” he said.